Summer has finally arrived and Anandi and Me are delighted to present their wonderful new collection of 100% cotton embroidered cushions from India. 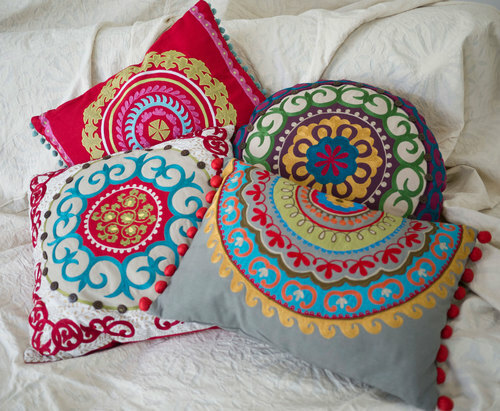 Bold in colour and with exquisite embroidery, they are available in a variety of sizes and colours and eight different designs. These cushions will look lovely on any settee, chair or bed and will add a touch of luxury to any room. Lesley Quin – Anandi and Me on 07714 324256.